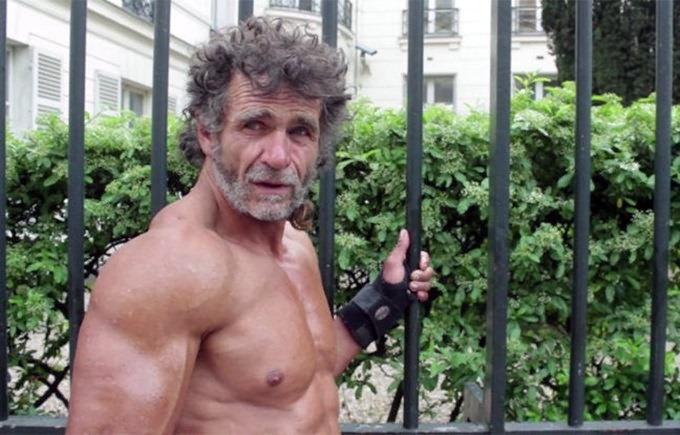 Even though he's officially homeless, 50-year-old Sayagh Jacques doesn't let that small complication hinder him when it comes to working out, which he does regularly on the streets of Paris where he lives. I suppose it goes to show that if you're really passionate about something, you can make it happen under any circumstances. Jacques has no qualms about working out right in the middle of the street. When people give him money, he doesn't use it to smoke or drink. Instead, he tries to eat protein-packed foods that will help him gain muscle. 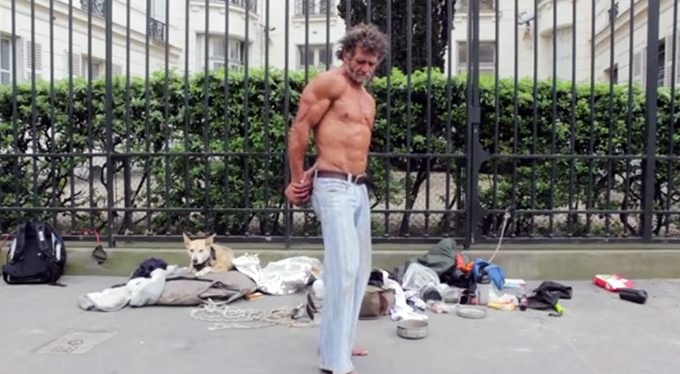 Last year, French director Julien Goudichaud happened to cross paths with Jacques on the streets of Paris. 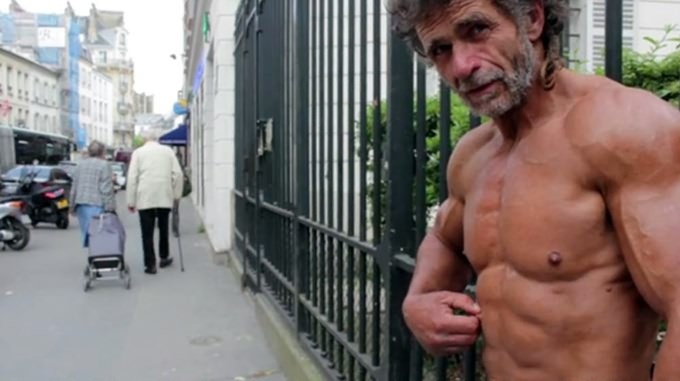 As he observed Jacques exercising, he became intrigued by the man's habits and began speaking to him on a regular basis. 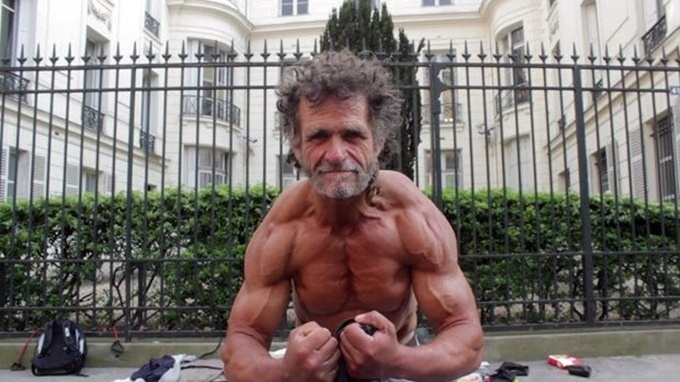 "He told me he was sleeping in his tent, he used cardboard to keep the heat and at the same time he spoke of diet, lifestyle, daily training, and concern for his physical appearance. The contrast was striking," Julien said. Soon, the director decided to make a short film about Jacques and convinced him to star in it. 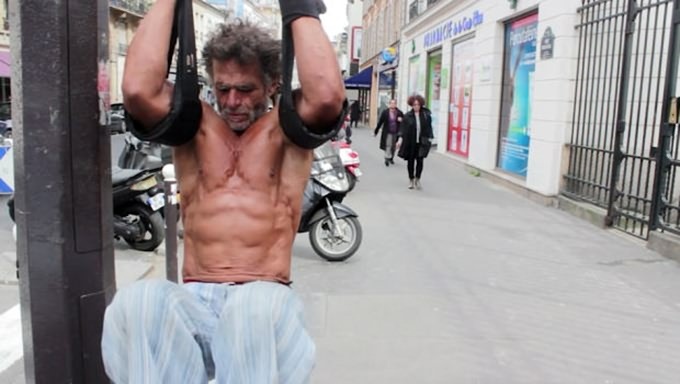 A short, six-minute video featuring Jacques and his unique training routine was released on Vimeo in November last year.